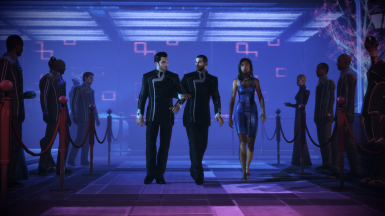 This mod fixes various issues with imported same-gender romances with Ashley, Kaidan, Tali, and Thane, focusing on immersion and restoring unused content. 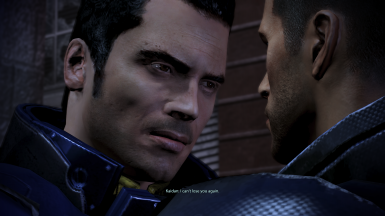 ﻿﻿Imported same-gender romances with Ashley, Kaidan, Tali, and Thane are now properly recognized in certain scenes and dialogue. 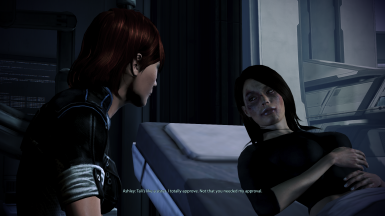 FemShep can now rekindle an imported romance with Ashley. 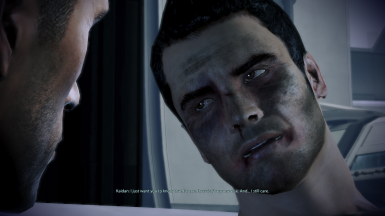 Kaidan will no longer "forget" a past relationship with MaleShep. 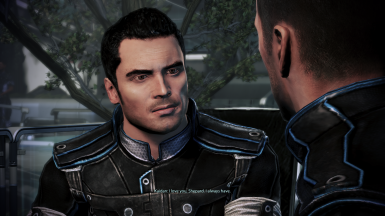 Ashley and Kaidan can now be chosen as love interests regardless of gender in the Genesis 2 DLC. ﻿Only includes voiced dialogue and properly animated scenes. 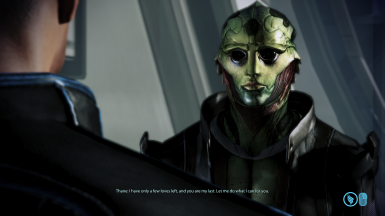 Characters will not refer to Shepard as the wrong gender. 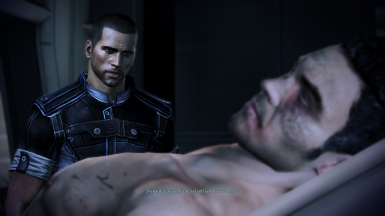 James Flirts Regardless of Gender - Allows James to flirt with both male and female Shepard during his conversations in the Normandy's shuttle bay, at Purgatory, and in the Citadel Holding Area. 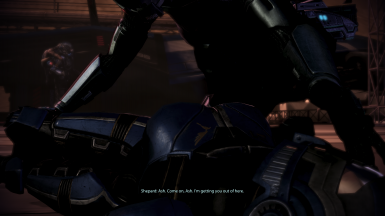 No James Flirting - Prevents James from flirting with either male or female Shepard during his conversations in the Normandy's shuttle bay, in Shepard's cabin, at Purgatory, and in the Citadel Holding Area. This mod is only available for the English localization. If you are using CEM, LIME, MEHEM, or Shorter Dreams, you must select compatibility patches for them through the Mod Utils menu when installing the mod. Due to various technical issues (such as animation errors and/or lack of audio), some scenes and dialogue will not occur for same-gender romances. 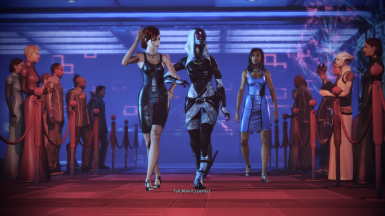 This includes Ashley and Tali's wake up scenes in the Citadel DLC, Thane's final scene in the Citadel DLC, and Ashley and Tali's romance scenes. 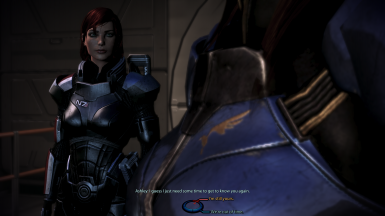 Ashley will only appear as FemShep's love interest in the Citadel DLC's goodbye scene if CEM and its compatibility patch are installed. Make sure automatic game updates are disabled through Origin's settings. 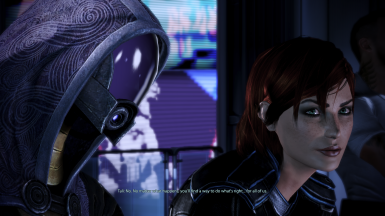 Drag and drop the downloaded .zip file onto Mass Effect 3 Mod Manager and import the mod. Select any optional files and compatibility patches you need through the Mod Utils menu. 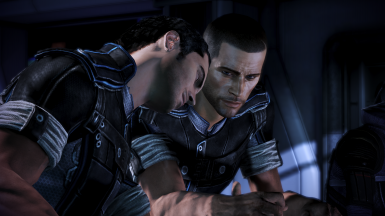 Same-Gender Romances for ME1 - Allows Ashley and Kaidan to be romanced by both male and female Shepard. 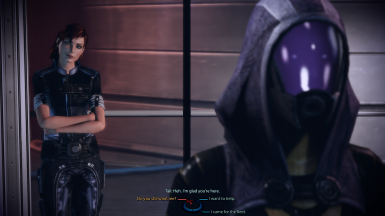 Same-Gender Romances for ME2 - Allows Tali and Thane to be romanced by both male and female Shepard, fixes issues with imported same-gender Ashley and Kaidan romances, and allows other same-gender content whenever possible. Chashan and deadlydwarf, for sending save files. Deager, for allowing compatibility with CEM, LIME, and Shorter Dreams. MrFob, for allowing compatibility with MEHEM. Mgamerz, for helping me set up the mod for Mod Manager and for creating such a useful tool. The ME3Explorer team, as this mod would not exist without their tools.